Founded in 2004, Pet Driver’s License was looking for a way to help lost pets around the world. We wanted a fun, unique way to identify our loved one. All humans carry a Driver’s License, why shouldn’t our little four legged friends have one. 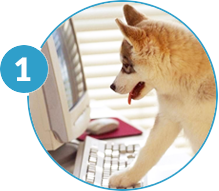 Our mission is to make the Pet ID creation process fun and exciting. Design your Pet ID tag online, it prints in 24 hours. Every Pet ID tag that is order will automatically support a local pet organization of your choice. As part of the Pet Driver’s License pledge, we will donate back to local rescues to help make a difference in a pet’s life. We are largest and most authentic Pet ID license available. 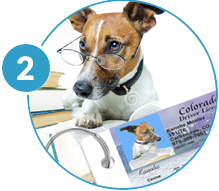 Each order ships with (1) large wallet sized Pet ID Card and (3) smaller versions. 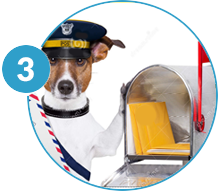 During the registration process, your Pet’s information will be entered into our National Lost&Found database.